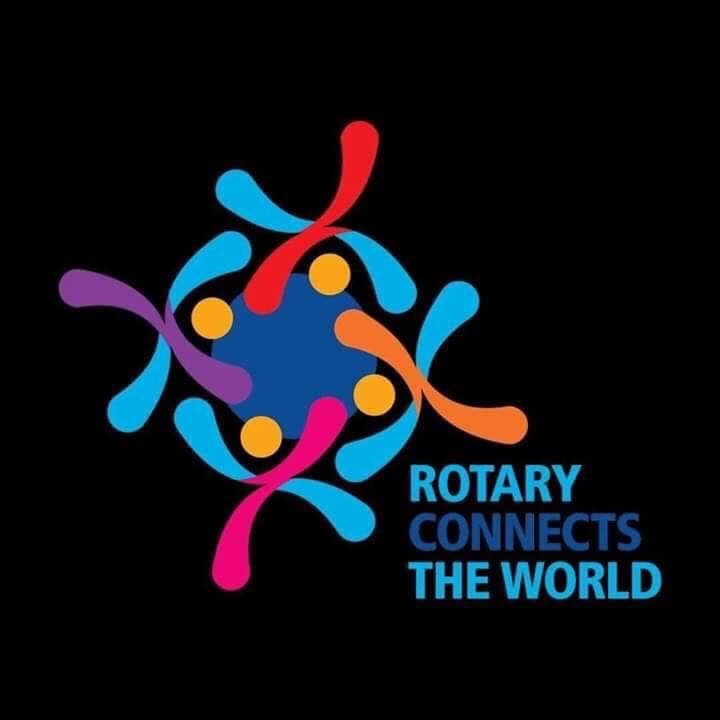 Welcome to our Family of Rotary Website! Check out the latest and greatest with our club! Pictured here are Joe Garcia, John Collins and Penny Sawyer. Member John was the speaker at yesterday’s meeting. His topic was DOD Mass Warning and Notification System. The people in the photo are DK Kathy Hubbard, PDG Stephanie Macchia, Jane Burton, and the center of attention is Satellite Chair Don Van Eynde, soon to be the President of the newest club in the district. President Joe's Report can be found in the download section below. Christmas is a season for giving and sharing. Each of you as fellow Rotarians have truly manifested a Christmas spirit throughout this 2018 Year. You have been so generous to so many as indicative in our Service Projects and Volunteering/Sharing your Time, Treasures, and Talents. May this generosity be returned ten-fold throughout the coming year. Blessed are those who choose to give and share by Serving Others Above Self. We are a living proof of our Rotary Theme this year: “BE THE INSPIRATION”. That’s why we exist, for we are motivated to think, say and do in ways that do make a difference. May the holidays bring you New Inspiration and Joy. This is a joyous season to take a step back from our busy lives and enjoy time with our loved ones. Wishing you and your family health, happiness, peace and prosperity this holiday season and in the coming New Year. May the spirit of Christmas fill your heart all year long. Winter Calendar is available for download! 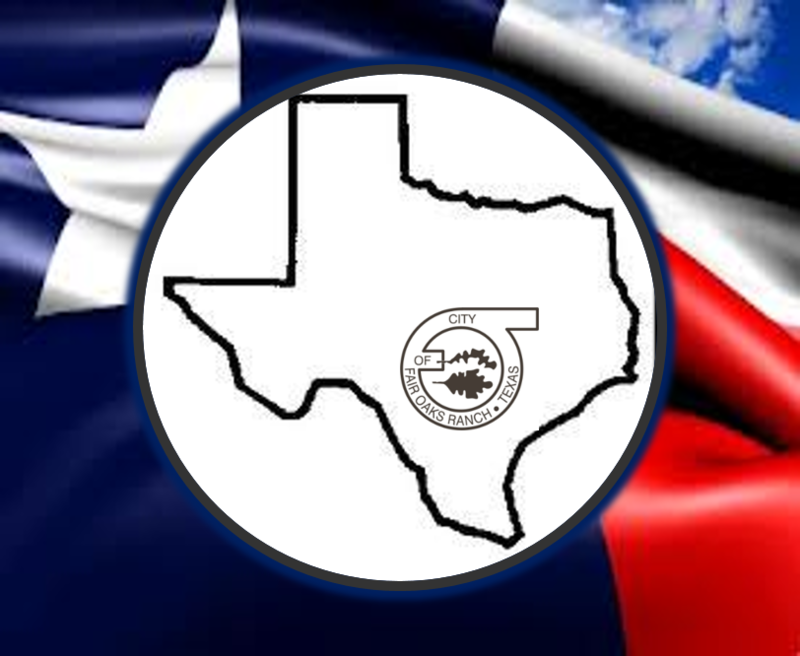 Click here for the updated 2018-2019 calendar! Thanksgiving is one of my favorite seasons of the year because it reminds us to give thanks and to count our blessings. It is a time to remember and to embrace those who enrich our lives. What a privilege to Serve Others Above Self. Let us continue to give thanks for many new friends who are joining our Family of Rotarians both in Fair Oaks Ranch and in Blanco. 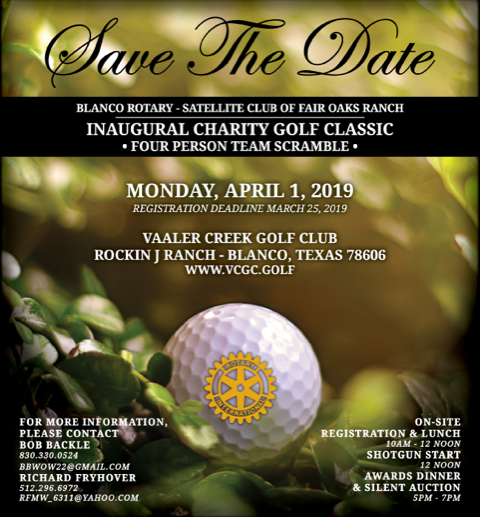 The Rotary Club of Fair Oaks Ranch and the Blanco Satellite launched OPERATION RHT (Remembering, Honoring, Thanksgiving) on November 14th & 19th 2018 respectively, for all our 23 Club Veterans. The City of Fair Oaks Ranch sent a very nice letter to the club thanking them for their help during the 30th Anniversary Celebration. To read the letter, click here.